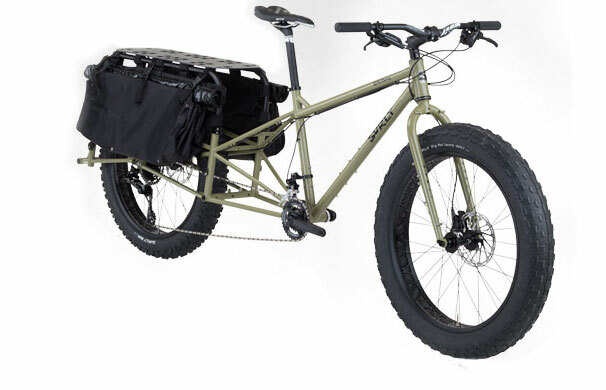 The 2017 Surly Big Fat Dummy is a long tail cargo bike that took a few too many doses of growth hormones. 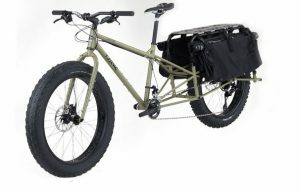 At first glance, you might say that we just put bigger tires on a Big Dummy. But if you said that, you’d actually be very wrong so just… don’t. Let’s get down to the nitty gritty of what makes this hulking beast of a bike tick. 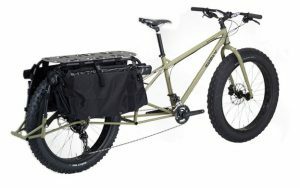 The goal with designing a cargo bike around fat tires was to create the most stable, stiff, and traction-laden ride possible while hauling a ton of stuff. 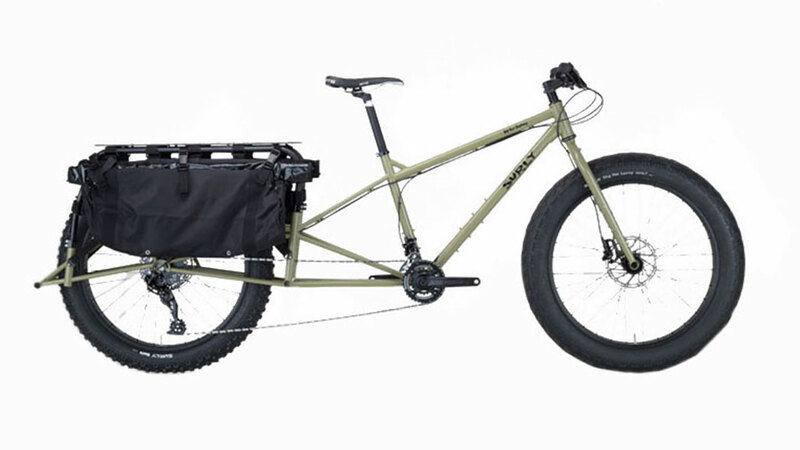 This Surly fat bike will get you and your stuff off-road, comfortably. Big Fat Dummy has a longer toptube and slacker headtube than its more svelte cousin giving it a nice, predictable, and stable ride. Surly have also used thinner, lighter tubing to construct its cargo area so while it’s an overall burlier bike, there’s not much difference in weight.